Portable, tough and low cost, LightLab™ brings accurate cannabis potency analysis out of the laboratory. The LightLab™ quality control tool measures cannabis potency quickly and economically with a simple user interface. 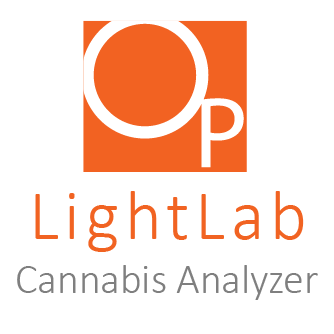 LightLab™ utilizes cutting edge technology that takes advantage of the same measurement techniques as cannabis laboratories. This results in laboratory accuracy in a portable and economical device. Eden labs and Orange Photonics prioritize customer relationships and a commitment to delivering robust, flexible systems. Orange Photonics’ goal is to enable industry growth by giving businesses accessible cannabinoid data so they can experiment, develop better formulations, identify and eliminate process inefficiencies. Without any quality control checks along the way, the risk of significantly misjudging the cannabinoid profile of raw materials or not completing the extraction is high and the gamble is quite expensive. Eden’s Hi-Flo Extraction Systems enable significant flexibility processing nearly any botanical. Orange Photonics' LightLab gives Eden’s customers cannabinoid content information without leaving the lab. This provides customers the opportunity to leverage the flexibility of their Eden Labs equipment. LightLab is a must-have quality control tool for businesses producing any kind of concentrate. 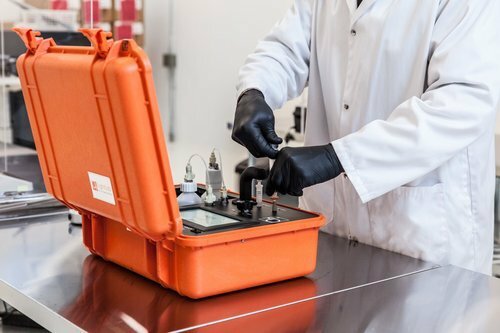 How Does Orange Photonics Help Cannabis Processors? vape cartridges, edibles, distillate and raw oil. What Can You Measure with Orange Photonics? The LightLab™ Analyzer can be purchased through Eden Labs for $13,500. The price includes a one year warranty through Orange Photonics.